Now a day, the use of Smartphone’s is booming. 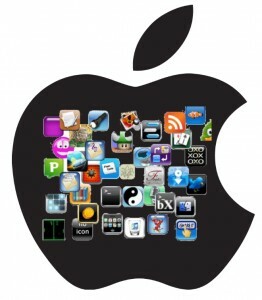 The reason being the more features and Application which can be run on the Smartphone’s. These Applications are customized and are targeted to a particular group of users. In recent time’s huge number of people using the mobile internet on a regular basis and because of escalating internet use in mobile, all business organizations also need to make their websites compatible with all smart phones and browsers. 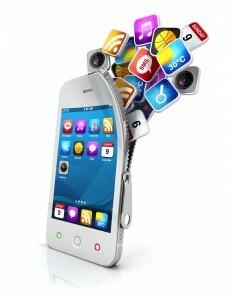 These days, smart phones like iphone, android phones have become an excellent source for mobile website marketing. If you are looking for the best solutions for Mobile App and Web Design then OWT brings the most optimum solution for you. Olyex Web Technologies has a dedicated team with an excellent blend of technical, professional, functional knowledge, result oriented team and extensive experience. We always develop a long-lasting business solution which satisfies your need. Android is one of the most versatile open sources mobile OS by Google that runs on a variety of Mobile Devices Our Android app development team is skilled at developing for Android Devices including phones, tablets and pellets. We optimize the design of the application based on your requirement so that the user experience in the application is personalized and has a minimal learning curve. We have qualified Android Developers explore the boundaries of mobile app development through its comprehensive set of development tools, themes and utility applications with greater consistency and quality. Iphone is a revolutionary device with better UI, superior functionality, and ultimate features. Our company is one of the leading Mobile App development company offering mobility solutions to its client with iPhone app development, iPad app development. We always achieve our objectives by providing superior development services to our clients like clients’ own offshore software development center. Our iPhone Mobile Apps development services are very cost effective and have a quality at per with the international standards. An iPhone app is one that uses all the current features of smart phone for use as a camera, touch screen, a great user interface etc. Our developers ensure that applications are positive impact on the user. Because qualified expert and competent in the use of software and design is needed to create successful applications for the iPhone. Windows Mobile is a mobile operating system developed by Microsoft that was used on Smartphones and mobile. With the increasing demand of Windows Mobile handsets, there is a surge in the demand of custom made Windows Mobile Game apps by the game lovers and for both technical as well as non-technical people. 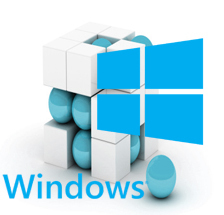 Under Windows Live platform, we can offer applications with features that may enhance the GPS connectivity and Microsoft Virtual Earth Maps. It also aids in built-in security bringing in the best significance for your organization.